Today I’m loving …. 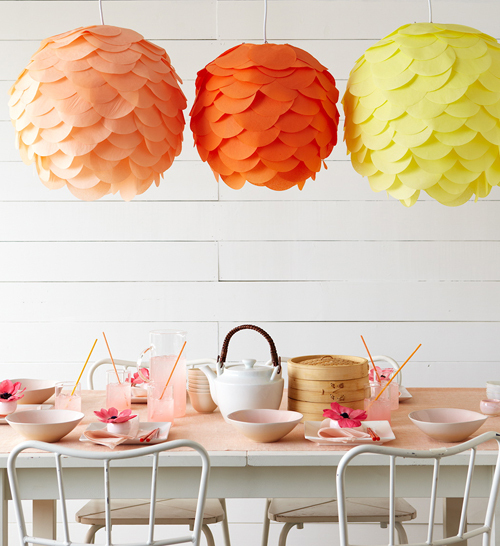 these diy paper lanterns which I discovered through the Happy Home blog. You can find instructions how to make yourself on the Martha Stewart website. You can create your own version like Jess from Joyess Images did. She made this gorgeous doily lantern. This is REALLY a wonderful idea. I could imagine hanging these in the gardenor on the balcony in a warm summer night. Thank you for sharing this!!!! I really like the yellow one somehow! They look great for a summer tea party! Oh they are beautiful. 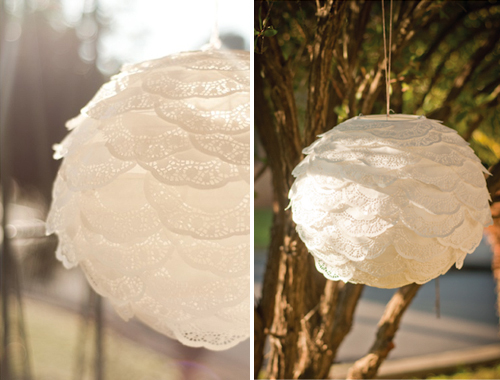 So much more refreshing that the regular round paper lantern! Love these lampshades, the coulours are beautiful. Another one to bookmark! Pingback: Gör din egna papperslampor | Husligheter – inredning och design som blogg.